14 Thematic Sections Space / Earth / Climate and Environment / Natural History / Human Body, Health and Nutrition / Science and Technology / History / Arts and Culture / Thought and Belief / Sports and Games / Time / Communication / Social Structure / Nations of the World. 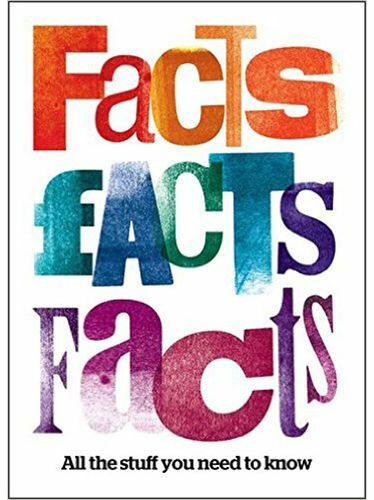 Covering everything from music to mythology and the human body to history, Chambers Facts, Facts, Facts is packed with a remarkable collection of information in a single quick-reference volume. All the essential facts and figures are clearly presented, together with extra features such as mini-biographies and glossaries. The full index and detailed contents listings make it easy to find specific information.